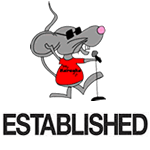 Voted Best Karaoke DJs, Karaoke Bars, & Karaoke Shows In Dallas Ft. Worth & Surrounding Areas > Uncategorized > Ever Been In A Karaoke Contest Here In Dallas? You either love it or hate it. Everyone has different karaoke contest rules. I’ve seen them judged by audience applause, the dj, secret judges, american idol style, you name it. I think the best way to run a good karaoke contest is how we run it though. Wanna know how that’s done? Read our karaoke contest rules listed on our menu bar.